President Donald Trump in March launched a trade war involving various tariffs. Companies in the S&P 500 are increasingly taking notice of the trade battles. 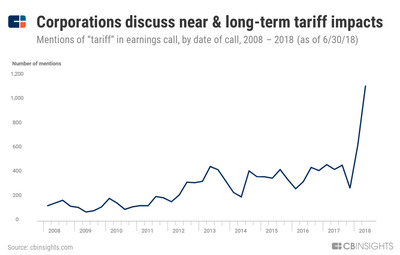 According to analysts, mentions of the word “tariff” on S&P 500 earnings calls have skyrocketed to the highest in recent history. President Donald Trump’s trade war is grabbing the attention of some of America’s largest companies. Throughout the second-quarter earnings season, S&P 500 firms across the spectrum have weighed in on the president’s tariffs on steel, aluminium, Chinese goods, and more. Companies ranging from Apple to Stanley Black & Decker to BlackRock have discussed the tariffs on their quarterly conference calls with investors and analysts. 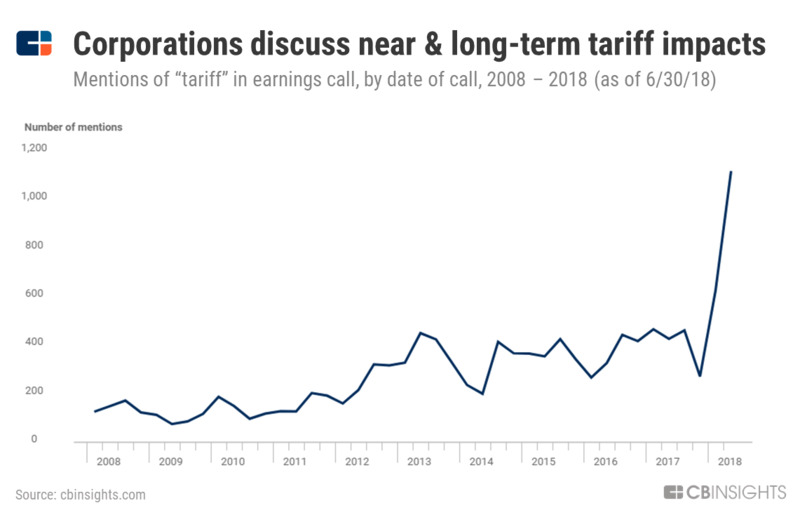 An analysis by CB Insights found that mentions of the word “tariff” on earnings calls hit a record high in the second quarter, even before the most recent round of threats between the US and China. According to Bespoke Investment Group, mentions of tariffs have more than doubled from the first quarter. “For the entire Q1 earnings season, the word ‘tariff’ came up 290 different times in S&P 500 conference calls (in some calls, the word came up more than once), while during this earnings season, the term has already come up 609 different times,” Bespoke said in a note Wednesday. The tariffs were mentioned most on calls for companies in the sectors of industrials (mentioned on 65% of calls), materials (57%), and consumer staples (56%), according to Bespoke. That would make sense, considering Trump’s tariffs so far have focused on industrial machinery, materials like steel or aluminium, and large appliances like washing machines. The corporate concern reflects similar comments in various business surveys over the past few months. For instance, many businesses brought up concerns about Trump’s trade policies in a Wednesday report from the Institute of Supply Management on the manufacturing purchasing managers’ index. The tariffs on steel and aluminium also concerned respondents. The ISM report contained comments similar to those in various Federal Reserve surveys and consumer-confidence indexes. In them, Americans reported increasing price pressures and expressed worry about the future of Trump’s trade war. While the concern from large companies is starting to boil, the pain appears to be limited to certain sectors and has not slowed down the broader economy. But that could soon change. 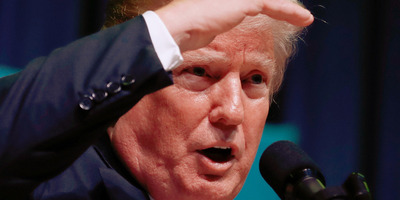 Trump has threatened to impose tariffs on another $US200 billion worth of Chinese goods, including many consumer products, as well as imports of cars. Either move would represent a major escalation of the trade war and ensnare a much larger swath of companies in the tariff fights.